Iran says it will expand its ties with Lebanon despite Pompeo’s call for Beirut to choose sides. Iran said on Sunday it would expand its ties with Lebanon despite US Secretary of State Mike Pompeo’s call for Beirut to choose sides, Reuters reported. On Friday, during a visit to Beirut, Pompeo called on the Lebanese people to stand up to the “criminality, terror and threats” of Hezbollah, which is Iran’s regional proxy. He also claimed US sanctions on Iran and its Lebanese Shiite ally were working and that more pressure on them was forthcoming. Iranian Foreign Ministry spokesman Bahram Qasemi dismissed Pompeo’s remarks on Sunday. “Because of the failure of its policies in the Middle East, America has turned to the outdated and disgraced weapon of threats and intimidation to impose its imperious policies on other countries,” Qasemi said, according to Reuters. “While respecting the independence of Lebanon and the free will of its government and nation, Iran will use all its capacities to strengthen unity inside Lebanon and also to expand its ties with Lebanon,” he stressed. Pompeo’s comments followed recent concerns expressed by the US Ambassador to Lebanon over Hezbollah’s growing role in the new Cabinet in Lebanon. Hezbollah and its allies gained more than half the seats of the 128-member Lebanese parliament in the election which took place in May of 2018. In the newly formed Lebanese cabinet, which was announced last month, Hezbollah has named a health minister and two other posts. US officials have called on Prime Minister Saad Hariri’s new government to ensure the group does not receive support from public resources. 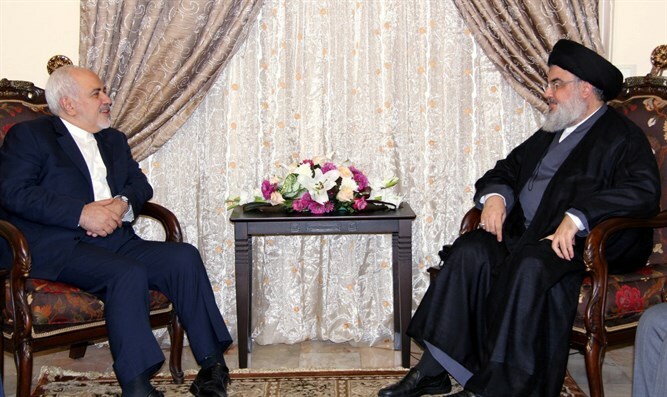 Qasemi said that on Monday that Hezbollah was a legal and popular party in Lebanon. “How can Pompeo make such impudent and irrational remarks (about Hezbollah) while visiting Lebanon?” he said. Pompeo on Friday highlighted US concerns about Hezbollah’s “destabilizing activities” in Lebanon and the region in talks his with Lebanese leaders. The State Department’s deputy spokesman, Robert Palladino, said Pompeo highlighted in the meetings US concerns about Hezbollah’s “destabilizing activities in Lebanon and the region” as well as the need to maintain calm along the border between Lebanon and Israel.